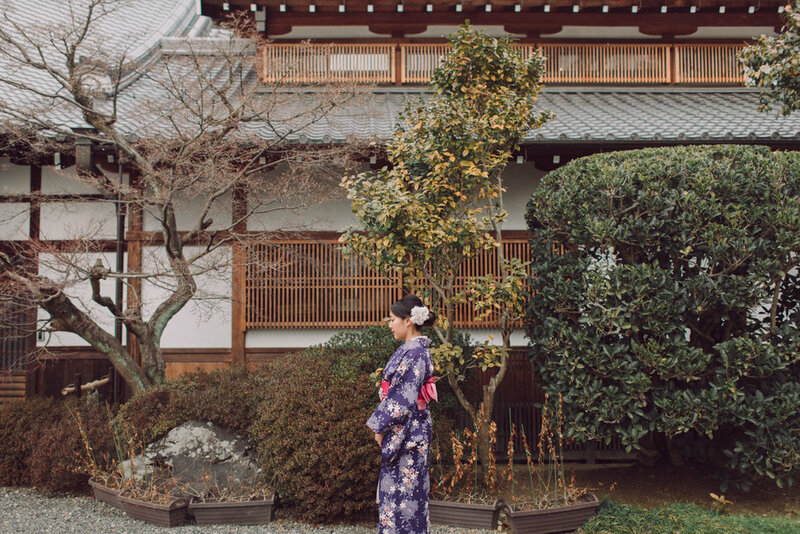 On our February trip to Japan, we visited Kyoto. If you'd like to experience what Kyoto was like back in the day, before electricity, Sannenzaka is the place. Technically, Kiyomizu temple, Sannenzaka, and Ninenzaka are all one big place. People usually start the tour by beginning at the temple, then meandering through the ancient streets of Sannenzaka and Ninenzaka. The little shops along the streets sell snacks and souvenirs, and everything in between. My favorite ones were this cinnamon green tea cream puff shop and a Totoro shop. My wife rented kimonos for us and it was like we were transported back in time! We started out at the Kiyomizu temple, which was a must-see according to many travel blogs--but honestly, all the temples started looking the same after visiting a few of them. I'd say only visit 2-3 temples when visiting Japan. Special thanks to my friend and fellow photographer, Justin, for taking some of these couple-y photos of us! We also visited Fushimi Inari Taisha, also known as the 1,000 Gates. The key is to visit early in the morning, before other tourists start flooding in. We were tired, but able to get some sweet shots! Last but not least, we visited a famous bamboo forest called Arashiyama. I felt like I was on the set of Crouching Tiger, Hidden Dragon when I was there. Too bad I do not know kungfu.